Sleepover With Bestie: Expectation VS Reality! Everyone, especially boys, imagine a girls sleepover to be fun, a little bit naughty and filled with skincare regimes! But as girls, we know that sleepovers are far from that stereotype that movies have created. No, we don’t sit around doing each other’s hair and we don’t wear skimpy clothes and have pillow fights. In fact, there’s no set thing we do at all. Sometimes, you will catch us gorging on pizza while watching our favourite TV show - and other times, we just laze around talking about our dreams, boys and a host of other things. Wake up call - this is what we do, boys. 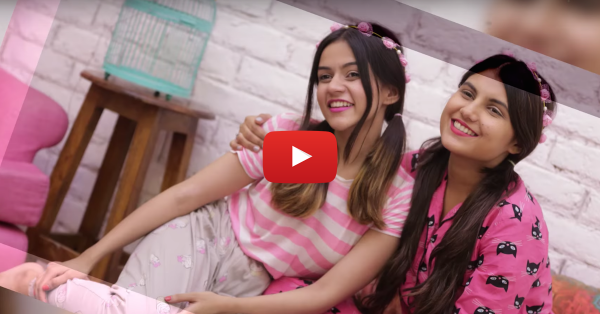 This video perfectly captures a girl’s PJ party and juxtaposes reality and expectations from it. It is a must watch. Also watch: How Girls Are At Home vs How Girls Are In Public! Watch the video now!